A letter to the new mum. Firstly, regardless of whether this is your first baby or your seventh, I want to wish you the BIGGEST congratulations. It doesn’t matter if the birth went to plan or not, natural or caesarean, no drugs or high as a kite; you are absolutely incredible! 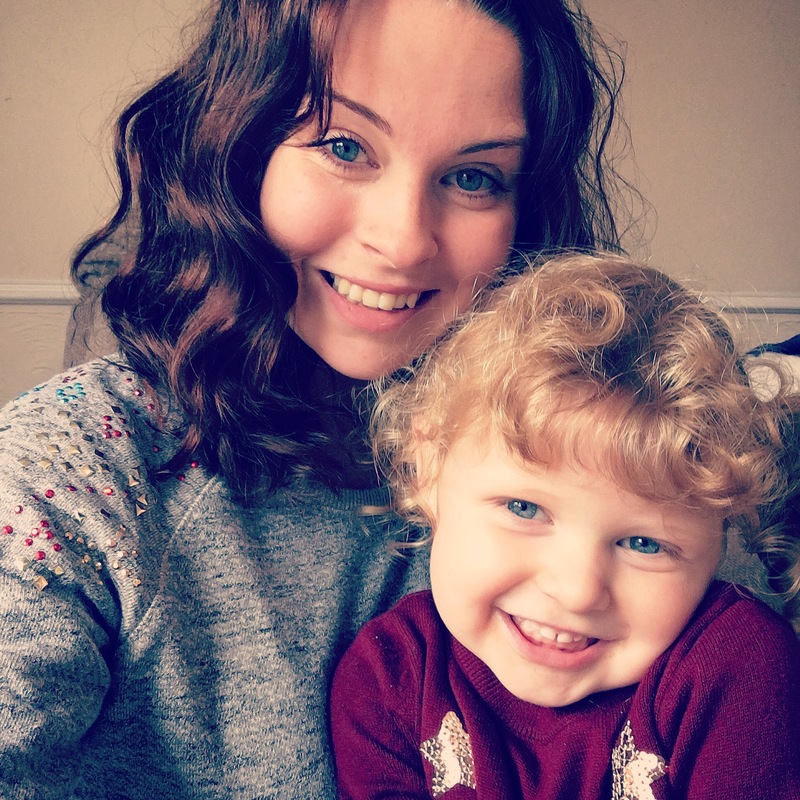 I’m not a medical expert by any means and I hate unsolicited parenting advice but I’ve had two children myself so I just thought that I’d share some things that I wish I’d known when I had my first baby. You don’t need to invite the world and his dog to visit you as soon as you get home. Unless you want that, which is great if you do, but if not YOU CAN SAY NO. You have just been through a huge physical and emotional ordeal and you need time and space to heal and enjoy your newborn bubble. With my second baby, I had no visitors in the first week apart from grandparents and it did me the world of good. Hormones are going crazy, you might be full of stitches, nobody is really sleeping, feeding (however you’re going about it) is being established and siblings are adjusting to a new family dynamic. This isn’t a great time for lots of visitors. I realise this might sound a bit cold and I know people are just excited and mean well but you need to put yourself first and visitors will come when you’re ready. No rush. The best visitors are the ones who put the kettle on or offer to grab something from the shop for you when they arrive and it’s ok to accept the help! They say it takes a village to raise a baby for a reason. If you are lucky enough to have close friends and family then this is the perfect time to use them. Let them cuddle your baby so you can grab a hot shower or accept the offer of a hot meal. Whatever you need, just don’t feel like you have to manage everything alone. You have just birthed a human being. You are already Super Woman. You do not need to be running around with the vacuum at 2 days postpartum! REST. REST. REST. It makes me cringe when I think about how I forced my husband to go on a walk with me 3 days after my emergency caesarean. I was constantly trying to prove to everyone that I was fine and that I could do everything. Now I can see that NOBODY was judging me, and if they were, who cares?! I barely left the sofa for two weeks after I had my second baby and it was just what my mind and body needed. Whilst we’re on the subject of being a superhero, keep on top of your painkillers. They are prescribed for a reason, even if you feel fine, just follow your course. Hormones are completely wild and it can be a really difficult time. Talk to people you love and trust and things will balance out again soon. Have a cry on your mum or explain to your partner if you’re having a down day. This is all perfectly normal and you don’t have to paint on a big smile and pretend you’re cherishing every second (#blessed). If you feel like you’re suffering from a bit more than the ‘baby blues’ then please tell somebody. Go to your GP or Health Visitor or even just check out the PANDAS Foundation who are a charity supporting people with pre and post natal depression. Just don’t suffer alone. And finally, enjoy your delicious new baby! Time really does fly. Remember nobody knows your baby and your family like you do so trust your instincts and do whatever feels right. You’ve got this! It’s happened! My tiny baby turned ONE even though I’ve told him to stop growing up hundreds of time. Sob. We had the best time celebrating though. We hired the room at our church and threw him a big dinosaur party and I was so pleased with the end result. We hired a little soft play which included a slide, soft shapes, rides on, see saw, space hoppers and, his absolute favourite, a ball pit. We had quite a varied age range of guests but they all seemed to really enjoy it and, most importantly, the birthday boy was in his element. I also did an activity table for the older children with dinosaur masks, colouring, stickers, rubber dinosaur toys and temporary tattoos which I was really pleased with as everything got used. I filled the room with every dinosaur banner I could find, I had spent many evenings scrolling through eBay, Instagram and Pinterest in preparation. The real stars of the show however were Mr Knight’s dinosaur balloons which he was incredibly proud of! Turning one isn’t all fun and games though! Our boy partied so hard that he had to have an hour nap half way through. We just about managed to do his cake and sing happy birthday before he fell fast asleep! It’s hard work being the host so we’ll let him off. His big sister had a brilliant time too. She can be so shy and would’ve really struggled in a situation like this before so it was amazing to see her playing with other children and dancing and just being so happy. The party took quite a lot of preparation but it was so worth it to see how much they loved it. I didn’t do traditional party bags as I wasn’t 100% sure who was coming and again, we had such a wide age range of children so everyone just went home with a nice slice of cake. It was so good to have a day just completely focused on our boy. Being the second baby, that probably hasn’t happened since he was actually born! Thank you to everyone who came and celebrated with us. Afterwards we came home and the mass ‘open every present in sight’ explosion occurred. I’d had every intention of doing lovely thank you cards for everyone but it was impossible to keep track of who had bought what! As usual, good intentions are all I’ve got! His actual birthday was on the Monday, Mr Knight had it off work and Little Knight missed preschool so we could enjoy the day together. The kids both woke up in such a foul mood and the weather was AWFUL so it looked like it was going to be a fail but we managed to save the day. 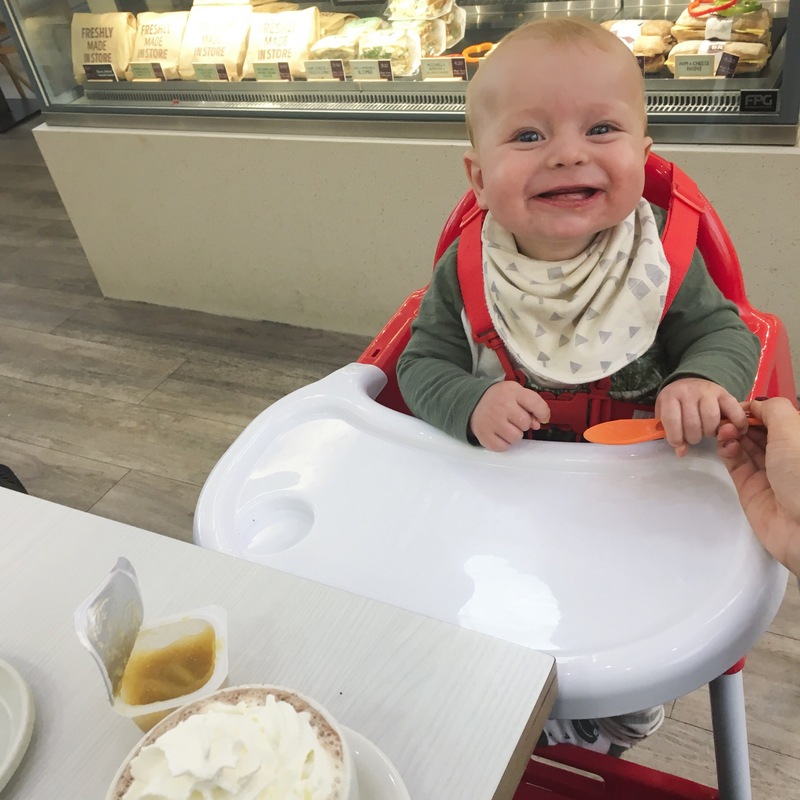 We went for lunch at Frankie and Benny’s as it’s become a bit of a family favourite and we went swimming in the afternoon which they both really loved. Even with the massive palaver of getting everybody changed it was worth it! We definitely need to start taking them regularly. On the evening we went for a Chinese takeaway and chocolate cake at my parent’s house which was the perfect end to the day. I have no idea what to do with all of his new toys… this boy is just so loved! He has had the biggest smile on his face throughout his celebrations so I know that he’s had a great time. AND I didn’t even cry once! Success! Happy Birthday, my gorgeous little bear. I love you more than words and I cannot wait for another year of your cheeky little ways. Can you even believe I’m writing this post already? I swear I had this baby a few months ago and now my precious boy will be ONE! Those of you who have been with me from the start will know that I was also very emotional about my daughter’s 1st birthday (you can read that here) and if I’m honest I was the same at her subsequent birthdays too. When did I turn into that mum? Please tell me I’m not alone in this. Birthdays just seem to really emphasise how quickly time is going and fast children grow up. I think there are a few reasons why I feel so bittersweet about my boy turning one. Firstly, he’s my baby! Since he came along, Little Knight became my big girl and he took the position of little, scrumptious baby (which he has filled perfectly). Now he’s making his way into the toddler zone and I am just not ready for that. He’ll be 1, he’s walking now, he eats real food with his real teeth. We’ve decided to get him measured for his first shoes this week and I’m just not ready. I know they say time flies but this last year has DISAPPEARED. He might be our last baby. Mr Knight and I don’t know what our future holds and if it’s just the two for us then we’ll be saying goodbye to the baby days for good. That is so hard! BUT I’ve accepted that this is just the way I parent! I am an emotional mother (just like my own!!) and that’s ok! I’ll probably cry at every birthday, assembly and school report forevermore. This weekend we are having a party for our boy to celebrate his first year with so many of our favourite people and it’s going to be really special. His actual birthday is on Monday which Mr Knight has off work so we’ve got swimming and a nice lunch out planned followed by a big nap. What more could a 1 year old want? First of all, I hope you all had a lovely Christmas! We had such a busy week leading up to it (which I spoke about in my last post) so we had a really chilled out one and it was perfect. We had the morning at home before going to church and then spent the day eating, drinking and playing with new toys at my parent’s house. Bliss! Now, I’m not really one the whole ‘new year, new me!’ thing but the end of a year does naturally make you want to reflect and think of things you can change. I really don’t like big, vague resolutions that get thrown about like ‘be happier’ or ‘lose weight’ or ‘clean more’ for example, they nearly always make you feel a bit of a failure as they are just so ambiguous. Yes, I would like to be happier and lose weight and have a spotless house but day to day these things are too vague and unattainable. So, here are my ‘resolutions’ that are much more realistic and that will make me feel good. I’m going to buy more lounge wear. (Does that sound as ridiculous as I think it does? It’s number 1 too as it’s the most important!) I never feel like it’s worth spending the money as nobody really sees them and I’m just relaxing at home but I’m making myself more of a priority. Is there any better feeling than soft, new comfies? Absolutely not. I’m going to (mostly) get to bed by 10pm. I spend so many evenings lounging on the sofa watching complete rubbish and then I regret it the next morning when I’ve been up all night with the baby. I want to try to update my blog more often. I love doing it but it’s hard to give it the time it deserves. I enjoy reading my old posts though and I like documenting my life, especially with the children being so young so I want to find more time for it. We want to move house at some point in the future so need to up our money saving game. Obviously this is AFTER I’ve purchased new lounge wear… priorities. I really MUST drink more water. I’m still breastfeeding too so I’m not drinking anywhere near what my body needs then I seem surprised when I get headaches. I could write the longest list about how I’m going to meal plan every week and stop my daily tea and biscuit binge but I just know that I won’t do it and I’ll feel rubbish when I don’t. Maybe it’s because I’m getting older, but I’m realising that you can’t change everything about yourself, and nor should you want to. Resolutions should be about making slight improvements to your day, not trying to turn into a different person. So, from me and mine to you and yours, Happy New Year! What, if any, resolutions are you thinking about for 2018? I’d love to hear them! Do you have any requests for future blog posts? Again, just let me know and I’ll do my best. The last few weeks have been so busy that I think I’ve only been sitting down to breastfeed! I had all of these ideas of Christmas blog posts that I could write but it’s just not happened. Instead, here is a long, rambley post about why things are a little extra crazy at the moment. Obviously, it’s Christmas! I am beyond excited. It’s Little Knight’s first Christmas that she understands and Baby Knight’s first Christmas ever so it feels really special. With that, of course, comes all of the chaos! We’ve done Santa visits and going out to buy the tree and looking at Christmas lights and this year she’s at preschool which adds so many things to the jobs list; presents for the teachers, the Christmas Fayre, decorating an elf competition… you get the idea! This is on top of all the presents and cards that need to be organised. Not that I’m complaining, I actually love it all, but it’s just a busy time of year. What is extra special about this year is that my oldest best friend (of nearly 16 years!) is getting married a few days before Christmas. I’m a bridesmaid and my daughter is a flower girl and we’re so honoured and excited! With that comes dress fittings and hen dos and wedding rehearsals and shopping for shoes and nail appointments and all the rest of it. Again, all lovely, but very busy! My calendar has never looked so full. All you parents will understand just how much preparation goes into a day trip with young children, let alone an all day wedding and overnight stay. I have lists EVERYWHERE. I find preparation is key when dealing with young children and events. I’m considering packing a whole bag with just snacks and stickers. That should do it. Last week we were hit with ALL THE SNOW which is almost unheard of for us. The kids loved it and even though I’m not usually a fan, it was beautiful and really got us in a Christmassy mood. However we were pretty much snowed in for 5 days, so not much was being achieved and ticked off the to do list! I’m not bragging though, my house is a complete mess and I REALLY need to wash my hair but something’s gotta give! Little Knight had her last day at preschool today and my husband only has 2 days left of work so we’re all getting ready for a nice break. This is probably the only time in the year where my husband is off work and we’re just at home, normally it’s for a holiday or event or whatever, so just having time at home together is really special. Christmas Day will be fairly relaxed too. We’ll be home in the morning, even though we always spend Christmas with family we like to keep these few hours to just the 4 of us, then off to church and then to my parents house for the rest of the day where I’ll probably put my pjs on at 2pm. Perfect. How’re your festive preparations going? Hope it’s not too stressful! How do you plan on celebrating? I love hearing about other people’s Christmas traditions. When you become a parent, suddenly your whole life revolves around someone else. 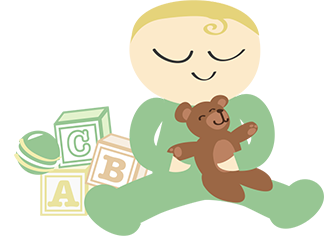 Babies and young children are completely dependent on you so your days are often just about keeping them alive. Everything you do and every decision you make has to have somebody else’s needs factored in first. Which is all fine, I mean, you kind of know that when you get the job but I think it’s all too easy to completely lose who you are amongst the chaos. It can be so difficult to have little control over your body when you’re pregnant. It is miraculous and incredible and such a blessing but that doesn’t mean that it’s also easy. I really struggled physically with sickness and heartburn but also mentally as my body was changing and I was putting weight on. This was even harder with my second pregnancy as I’d worked so hard to lose weight after the first time so seeing myself getting bigger again really upset me. In the early days you obviously have this new person to get to know and look after whilst healing from the birth and dealing with insane hormone fluctuations. Naturally, you’re probably not putting your heels on or hitting the gym (but fair play if you are!) and nobody would expect you to, you’ve just had a baby! But I think it’s so easy to continue like that until you feel a bit lost. At some point, whenever it feels right, you need to start finding yourself in that postpartum fog and do things for yourself and not just your children/partner/house/job. It took until my baby boy was about 9 months old for me to remember myself. I started just by buying a book and actually reading it. I know. Shocking. And it felt great. A few evenings a week I would have a long shower once the kids were in bed, use a face mask and lie in bed with my book. It seems so trivial but it’s almost like it kickstarted me making myself a priority every now and then. That famous saying ‘you can’t pour from an empty cup’ is so true. When you’re feeling good, you can give your best to your family. I was still wearing a lot of maternity clothes just because they were comfy and convenient so I packed them all away and forced myself to actually look in my wardrobe and buy things for me when I was shopping. It wasn’t anything expensive, but it felt good to shift some of my focus back onto myself. I walk at least 40 minutes every day now as my daughter is in nursery but I also like to try and get a couple of workouts in throughout the week. Again, it’s good to focus on myself and look after my body as it’s served me well over the last few years! I also find I’m more positive and patient after a bit of exercise which is always useful when I spend my days refereeing a cruising baby and a threenager. This is something that is obviously different for everyone, it’s just my personal experience. I’m not writing this to ‘show off’, I just hope it can encourage one mum to ignore the laundry for an hour and have a long bath or buy that bag that you loved but put back on the shelf. Basically, you’re important too, Mama! So, needless to say I completely fell off the blogging bandwagon. 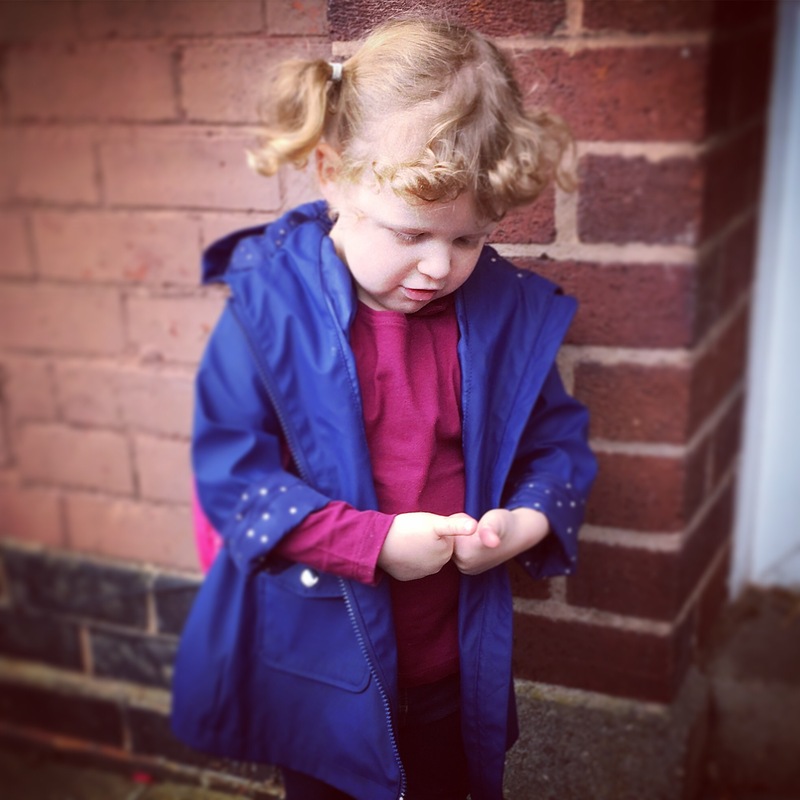 My last post (which you can find here) was about my 3 year old getting ready to start nursery and as we’re coming up to the end of her first half term, I thought it’d be a good time to post a little update. I was a nervous wreck on her first day. I was all big, manic smiles and ‘oh WOW you’re going to have so much fun!! !’ on the outside but I felt like I was constantly holding back a big cry. She actually wasn’t too sad when I left but I don’t think she really knew what was going on. I tried to ask her teacher if they would call me if she needed me and I just started crying and had to leave. Thankfully a few other mums were really kind and told me they had been the same, which helped as I felt like I’d made a bit of a scene! I spent those first 3 hours clock watching and desperately trying to fill the time until I could go and get her. When I got there the teachers said that she’d had a few teary moments but they managed to keep distracting her. She obviously knew what to expect after this as every time I took her in since she was really upset when we said goodbye. Every giant sob and ‘I want my mummy!’ felt like a stab to the heart. I cried walking home every day for the first week or so. Despite this though, she never said that she didn’t like it or didn’t want to go and was always excited in the morning beforehand so I knew that she liked nursery and everyone there but it was just the leaving me that was upsetting her. However, I am SO PLEASED to finally be able to say that as of last week she has stopped being upset at drop off and is really happy whilst she’s there! She seems to have grown up so much in such a short space of time. She loves ‘playing school’ and names her toys after children in her class which is so lovely to watch. It’s taken us a few weeks to get into our new routine. Obviously beforehand we could just roll through each day and do whatever we wanted but I’m really enjoying having more structure to our day. Also, the 10 minute walk 4 times a day is helping to shift those final few baby pounds! I actually enjoy the hours where she’s at nursery now as I know she’s happy and having much more fun than if she was at home. It also means that Baby Knight and I get to have some time on our own and he is such a good lunch date. I never tell her I’ve missed her as I don’t want her to feel sad about it but it is odd sometimes when I want to tell her something and she’s not there. Is it weird that I miss her when certain songs come on the radio? Little Knight loves a good kitchen disco. My favourite part of the day is picking her up and hearing about her afternoon. I’m so proud of how well she has settled in. She is definitely ready for a week off now though, poor child is exhausted! Also, we’ve now started applying for schools for next September… the parent anxiety/stress just never ends!